Built in 1864 by Sylvanus Knowles, the classic Greek revival Farmhouse shares its unique location on Fort Hill with two other historic homes and a host of wildlife. Owned by the Knowles family until 1943, the farmhouse and surrounding landscape remain relatively untouched by the intrusions of the modern world. In 1962 the Federal Government protected the Fort Hill Area as part of the Cape Cod National Seashore. In 1988 Gordon and Jean Avery visited and fell in love with the area, impusively purchased the Sylvanus Knowles House and three acres of property the same day (no kidding! ), spent the next two years updating the antique house, and opened it as a bed and breakfast in 1990. The Sylvanus Knowles House, now known as The Fort Hill Bed and Breakast, along with the surrounding 100+ acres of fields, forest, scenic views and walking trails is honored to be listed on the National Register of Historic Places as part of the Fort Hill Rural District. 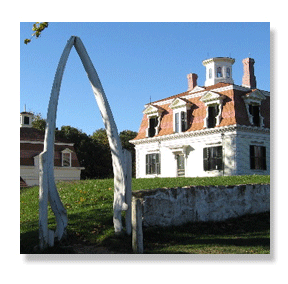 Directly across the street, this rare whale bone arch greets visitors to the historic Captain Penniman House museum. Recent Awards: 2009 Cape Cod Life Magazine Best of the Cape and Islands: Editor's Choice for Best B+B on the Outer Cape from Eastham to Provincetown. Fodor's Cape Cod 2011 and 2012, Nantucket & Martha's Vineyard Editor's Choice 2007, 2008, 2009, 2010. "The location is perfect - minutes off busy Route 6, but steps away from quiet, secluded trails that wind through cedar forests, fields crisscrossed by old stone fences and a red maple swamp. The crown jewel is the light and airy Nantucket Cottagte... you'll want to move in. Breakfasts are superb. 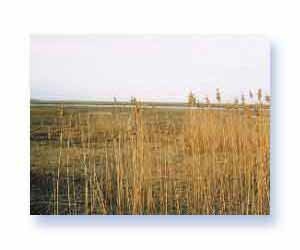 "Overlooking Nauset Marsh in the scenic Fort Hill Area is the dilightfully sophisticated Fort Hill Bed and Breakfast. The spacious and pleasant Emma suite includes a living area complete with a pianno and a library of excellent books. The warm and amiable innkeepers serve up a creative and delicious breakfast prepared daily with fresh ingrediants. 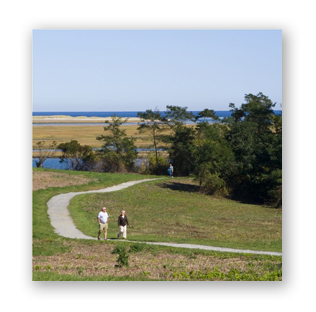 This B+B is a prime starting point for a walk on the Nauset Marsh boardwalks in the historic Fort Hill Area. 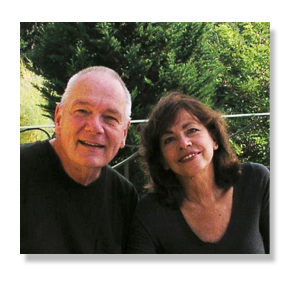 Gordon and Jean have been warmly greeting guests since 1990. Jean, a retired Chemistry teacher, is a passionate gardner and cook. She maintains both a vegetable and perennial garden that supply food and flowers for the bed and breakfast. She enjoys entertaining, traveling and finds joy in sharing the beauty of the historic Fort Hill Area with guests. Gordon, a retired real estate appraiser, is an avid reader and has a passion for digital photography. He looks after the day-to-day maintenance of the B+B. They look forward to making your stay at the Fort Hill Bed and Breakfast a memorable one! "I could live out my days here. Perched on a little knoll overlooking Nauset Marsh, Jean and Gordon Avery's two suites and cottage enjoy one of the Cape's best locations." "You can’t beat the idyllic location of this historical inn: It overlooks the Cape Cod National Seashore’s Nauset Marsh." "I've walked this trail many times since I discovered it a couple of months ago, and each time I am overcome with a feeling of tranquillity. It is the perfect place to get away from it all. Across from the Cap. Edward Penniman's house is another beautiful home, the Fort Hill Bed and Breakfast at the Sylvanus Knowles House, run by Jean and Gordon Avery. In my opinion, it has the most prime location of any B & B on the Cape, and it is one of the most beautiful." "The most varied of all the walks is Fort Hill Trail. You pass by the giant whale jawbone garden gate of the stately Victorian home of whaling captain Edward Penniman. The trail leads from the house through dark woods, across spacious meadow land, along bluffs that overlook salt marshland and the Atlantic, past a huge rock where the Nauset Indians used to sharpen their fishhooks, and down onto a boardwalk what winds through a red maple swamp." "Over the years we have been to a huge variety of hotels, inns, and b+bs but find Fort Hill has to be the best. A great combination of warm hospitality and privacy, comfort and elegance, good conversation and peace, only interrupted by birdsong." "The beauty of the accommodations and surroundings, the marsh, the elegant breakfasts, the impeccable housekeeping, the great conversations and most importantly the warm feelings we exchanged with each other. As in any first love experience, we will be back"
"The exceptional was a daily occurrence. The ambiance of your home, the gracious hospitality and the gourmet breakfasts leave a lasting memory. I have seldom felt so at home, so cared for, and enjoyed the sanctuary of my lodging." "How to capture our feelings about this house, about this incredible hospitality, about these breath-taking breakfasts in a few sentences? That's probably beyond our humble language capabilities!" "Your home has been the perfect spot for me to renew and be revitalized. I loved the comfortable bed, birds in the AM, the wonderful breakfasts, your terrific suggestions and openness to my questions." "Gorgeous, comfortable, tasteful, fresh rose, all wrapped into one gorgeous suite. Gordon and Jean feel like long time friends. There could be no innkeepers more gracious. This was the most wonderful B&B experience we have ever had in any country." "To wake up and hear the fire crackling and smell the breakfast cooking: nothing could have been better, except the setting! We have had a wonderful time wandering through the small towns and glorious beaches, but your home has been just as enticing." "Being very private people, we were a bit nervous about staying a whole week in a small bed and breakfast. Boy, were we wrong! The blissful solitude, privacy and casual luxury your home provides is exactly what we needed to unwind and re-connect with each other. Leisurely walks around Fort Hill, lazy days at Coast Guard Beach, biking along the near-by bike trails, and great shopping excursions in neighboring villages rounded out our days...and wore off a few of the calories from your gourmet breakfasts! Is it too soon to make reservations for next year?" Eastham is a quaint, historic New England township, sporting long sandy beaches, miles of biking and hiking trails, boutiques and galleries, and many National Historic Register designations. Spend a day at Coast Guard Beach, explore the National Seashore, or explore one of the numerous Marshes and hiking Trails. Nearby are restaurants, museums, shoppingand theatre. Try a whale watching trip, kayaking, biking, baseball, fishing or golf. It's all right here, or take a day trip to one of the islands.